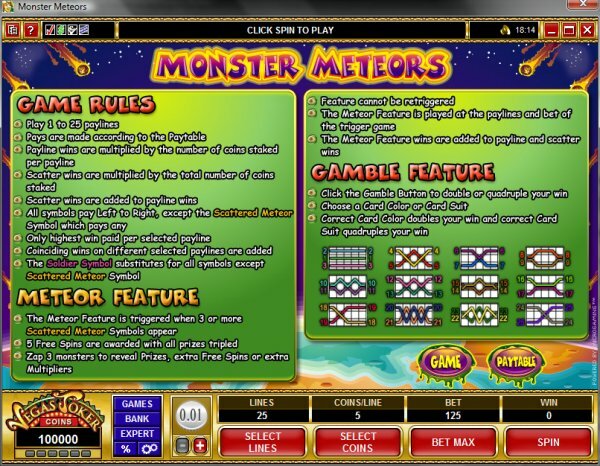 Overview: June 2009: MONSTER METEORS has travelled from the far reaches of Space to bring entertainment and hopefully good fortune to the planet's slot fans, with a fantastical range of extraterrestrial beings to show the way on a smooth-running, 5 reel, 25 pay-line game. 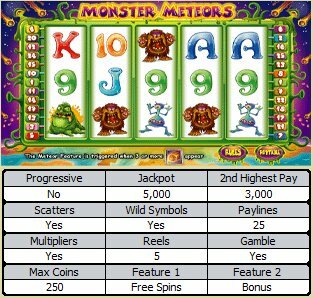 The comical and imaginative graphics set the theme for a game that is unusual and definitely laden with rewards - up to 15x on Multipliers and up to 35 on Free Spins, along with generous prizes and a popular Gamble feature. Earth's rugged looking Space Trooper is appropriately Wild in the game, making winning combinations possible by substituting for other symbols, but standing aside for the Scattered Meteor which gives access to a bonus game-within-the-game. 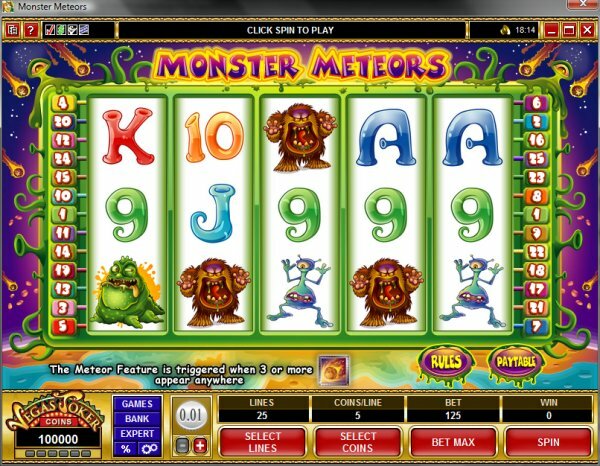 When 3 or more blazing meteors appear, 5 Free Spins where rewards are tripled start and can lead to a task where the player zaps three outer space monsters to reveal prizes and up to 15x Multipliers and extra Free Spins. 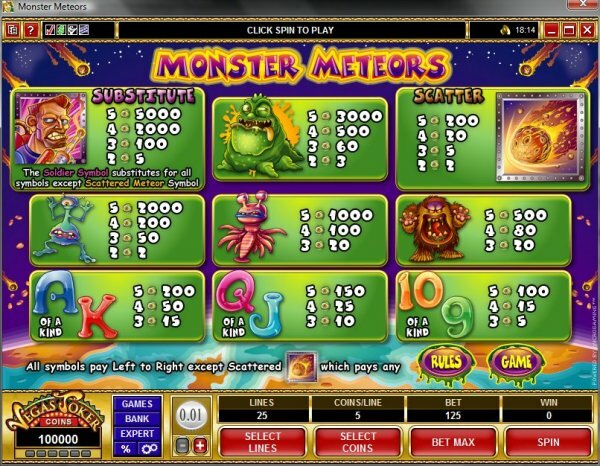 Similar Slots: If you like Monster Meteors, you might like these other 5-reel slot machines: Age of Discovery, Big Top, Celtic Crown, Crazy 80s, Dragons Loot, Stash of the Titans.